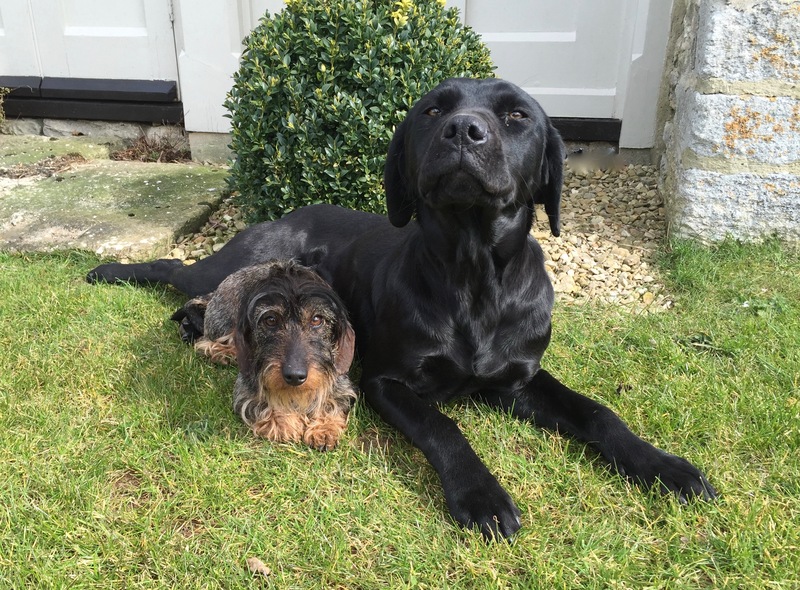 Well Farm, owned by Kate and Edward Gordon Lennox is a delightful family home that offers lovely bed and breakfast accommodation. 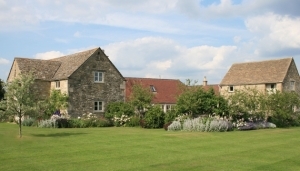 The house has been refurbished and converted from two 18th Century Cotswold barns. 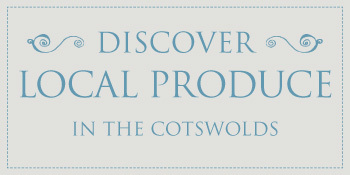 So peaceful and yet close to the market towns of Tetbury, Stroud and Cirencester, and with just over half an hour’s drive to Cheltenham, it’s an ideal location for exploring the Cotswolds. 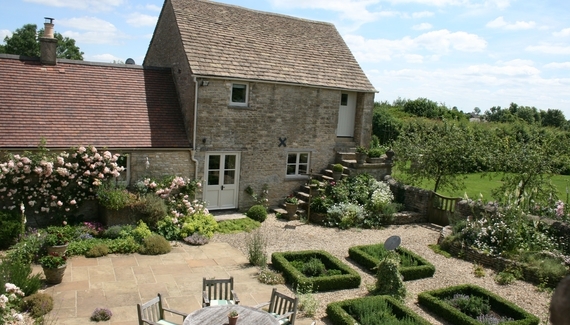 The house sits in a private and quiet location in the village, surrounded by 20 acres of fields and gardens, with stunning views over the Golden Valley and you can walk for miles from the door. There’s a lovely private bedroom up a short flight of stairs and a book-filled sitting room on the ground floor with wood burner and television. 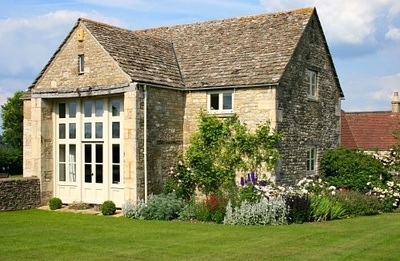 An outside door opens onto a gorgeous courtyard with topiary and scented shrubs and flowers. 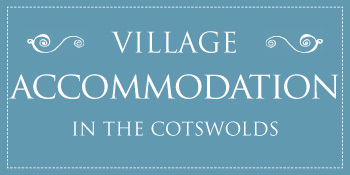 Your Cotswold Village Rooms host, Kate, loves gardening and runs Rich Pickings, a creative garden design company that also arranges flowers for any event including weddings, parties and more informal occasions, along with plant and flower inspired courses throughout the year. Guests are welcomed on arrival with afternoon tea and maybe home made brownies or flapjack in the comfortable sitting room, or out on the courtyard terrace. 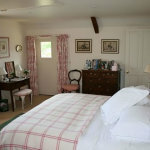 Sleep deeply and peacefully and wake to the sound of birds and a memorable Cotswold breakfast. There’s a choice of cereals, fresh fruit salad, yoghurt, juice and toast with home made marmalade with a cooked English breakfast. Spoilt for choice, sausages are often from the village shop in Horsley, bread from Walkers in Nailsworth, or the Jolly Nice Farm shop which is close by. 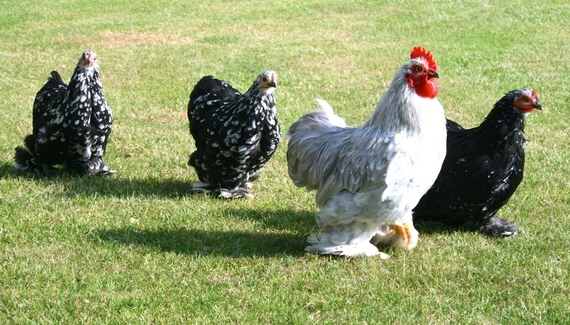 All produce is sourced locally, from the garden, and from their own hens. Guests are welcome to use the tennis court in the grounds or head out on cycles to explore this lovely area. Frampton Mansell is set within the parish of Sapperton, not far from Cirencester and lies in the peaceful valley of the River Frome, known as the Golden Valley. There are gorgeous views across the valley with fabulous walks and wildlife all around. 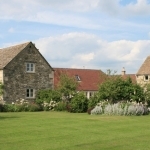 Steeped in history, in the 13th century the manor in Frampton Mansell was owned by the Maunsell family where the hamlet got the second part to its name. 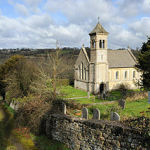 The lovely St Lukes Church built in 1843 by Lord Bathurst and now protected by English Heritage through its Grade 11 Listing sits peacefully with views of the canal, river, and railway following the valley down to Stroud. Occasional steam excursions over the viaduct give a special view of the surrounding area. 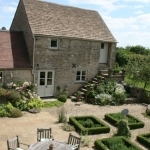 Guests have quite a choice around here with the market towns of Cirencester, Stroud and lots of lovely villages within close reach. 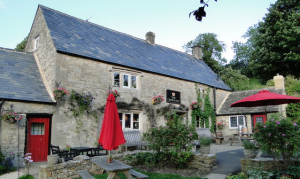 In the village is The Crown Inn, an original 17th century ‘cider house’ with traditional home-cooked food and locally brewed ales. Close by, The Bell at Sapperton, The Ragged Cot and The Old Lodge at Minchinhampton. All in great settings. 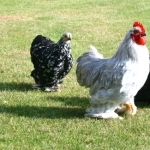 Contact Well Farm directly by using this booking enquiry form.